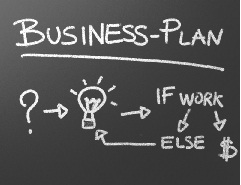 The Small Business Administration's concise guide to the why and how of writing a business plan. This guides provides an outline for your plan. These free online resources will provide you with an introduction to the elements of a business plan and advice on writing one. SCORE is a non-profit organization of business professionals, working as volunteers. SCORE mentored and trained 590,550 aspiring and existing small business owners in 2010. - from the website. This link is to the templates gallery for business plans and financial statements. Browse the SCORE website for tutorials on writing business plans and learn how to sign up for a mentor. Provided by the U.S. Chamber of Commerce, the toolkits on the "Small Business Nation" website include Startup, Sales & Marketing, Finance, and more. Madison County is fortunate to have three small business centers and two chambers of commerce. Each provide resources, training, advice, and contacts. Women's Business Center of North Alabama - The WBCNA provides one-on-one, personalized business coaching free of charge. They guide their clients through the process of writing a plan and starting a business. They also coach existing business owners on specific issues. Small Business Development Center / Alabama A&M University - The purpose of the Small Business Development Center is to reduce significantly the failure rate of small businesses in seven counties in Northeast Alabama. The center assists businesses to improve significantly their ability to generate profits; advises potential small business persons regarding the feasibility of a business prior to investing capital; and helps to ensure successful transfer and application of technology in small businesses. North Alabama African American Chamber of Commerce - The NAAACC annually serves over 500 business. The NAAACC serves as a vehicle to enhance African American Businesses and other historically underutilized businesses by identifying business opportunities. providing a resource base, and encouraging members to do business with each other. The NAAACC is affiliated with the National Black Chamber of Commerce, Which is headquartered in Washington, DC. - from the website. I have a great or unique business idea. The economy is forcing me to create my own living. I've always dreamed of being my own boss. Search the Catalog for more books on this subject! Check out our catalog to find other books on this or similar subjects. Alabama.gov - Starting a Business - The state provides a list of start-up resources for Alabama business enterprises. Resources include reserving a name, incorporation rules and forms, tax information and forms, and state data sources. Alabama Secretary of State - Business Services - Business Services administers all business-related responsibilities for the Secretary of State including filing of commercial liens, registering of new businesses, and issuance of trademarks. Madison County Planning & Economic Development Office - This office provides support for exporters. Madison County Business License Information - This site provides information about fees, renewals, contact information, and listings for related government bodies and business organizations. Doing Business with the City of Huntsville - Includes information and forms for applying for various business licenses. From the publisher: This book includes all the invaluable information from The Complete Idiot's Guide(r) to Business Plans, Second Edition, but adds a content-rich CD-ROM, featuring more than 90 time-saving planning tools, business forms, and financial worksheets to help entrepreneurs prepare, write, and make the most of their business plans. Features eight business plans covering a broad range of businesses. From the publisher: This book will show you how to write the right plan for your business and design a loan package necessary to finance your business and make it work. With this bestselling all-in-one guide you'll learn how to: figure out if your business idea will make money; estimate operating expenses;prepare cash flow; create profit and loss forecasts; determine assets, liabilities and net worth; find potential sources of financing; think first before borrowing from friends and relatives; professionally present your plan to lenders and investors. From the publisher: A comprehensive guide to creating a business plan that offers step-by-step guidance for every stage of the process, as well as a CD-ROM with forms. The Library also collects books on starting specific types of business. Below are a few examples of titles in the Reference Collection and in the collections for checkout. When searching for your business idea, try a keyword and "business." For example, search for "craft business" or "travel business." If you don't find a title right for your situation, ask a Reference Librarian for help. From the publisher: The marketing agency model is broken. Traditional firms are fighting to remain relevant by grasping for new services and techniques--such as social, mobile, SEO, and content--rather than focusing on what really matters: pricing structure, technology, staffing, infrastructure, processes, and purpose. From the publisher: This guide to running a successful business from the home includes information on a wide range of financial planning, tax, marketing, and technological issues. From the publisher: Reveals secrets for growing bigger, faster by finding a niche, getting funding, building partnerships and tapping international markets. Highlights pointers, pitfalls and words of wisdom from successful pioneers, CEOs of name-brand sites and small dotcom builders. Offers a complete course on website building, from getting started on a shoestring budget to using advanced techniques sure to attract attention. In this how-to video from the Small Business Administration, you'll learn the basics of writing a business plan.